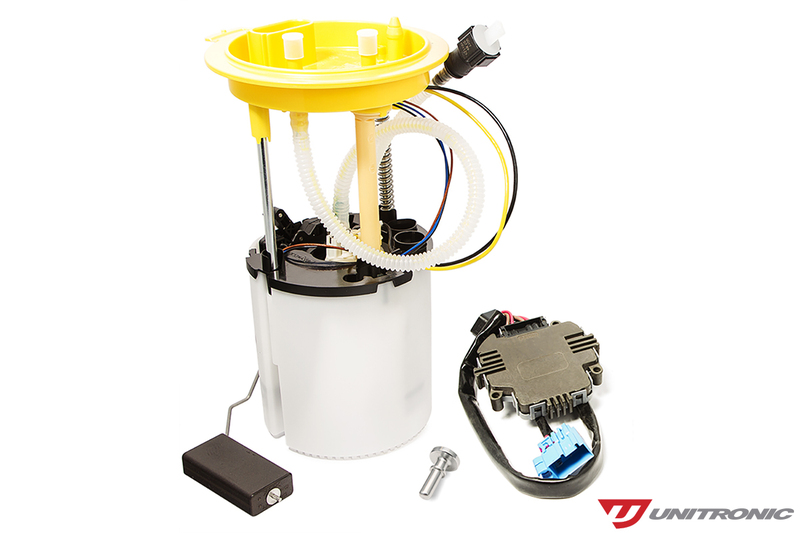 Unitronic is pleased to provide a complete drop-in High Output Low Pressure Fuel Pump (LPFP) upgrade for the 2.0L TFSI (EA113) & TSI (EA888) equipped Front-Wheel Drive and All-Wheel Drive vehicles. Unitronic’s research and development identified the stock low-pressure fuel pump’s inability to supply the high-pressure fuel system (rail) with sufficient fuel volume on applications producing more than 400HP. Unitronic’s High Output In-Tank Low Pressure Fuel Pump is capable of supporting 525+HP with Unitronic’s Big Turbo Software calibration.